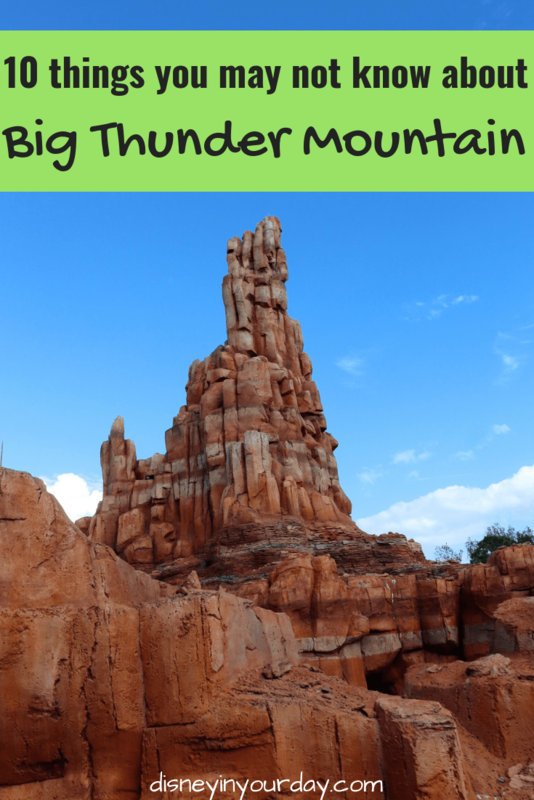 Big Thunder Mountain Railroad is a highlight of Frontierland – after all, it’s the “wildest ride in the wilderness!” Located in both Disney World and Disneyland (though different in each park), I especially love riding this one at night. 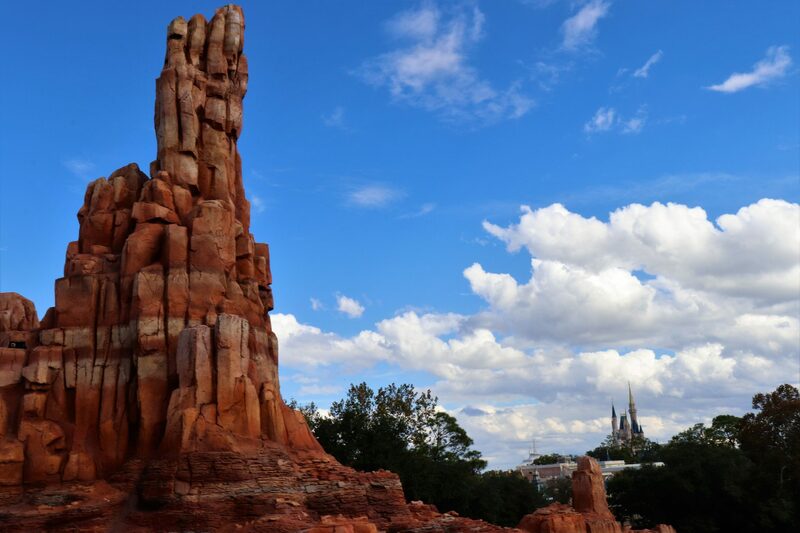 Read on for some fun facts about Big Thunder Mountain Railroad! 1. Each of the trains on Big Thunder Mountain Railroad have names, and of course they’re great puns – things like I.M. Brave, U.B. Bold, and U.R. Daring. 2. 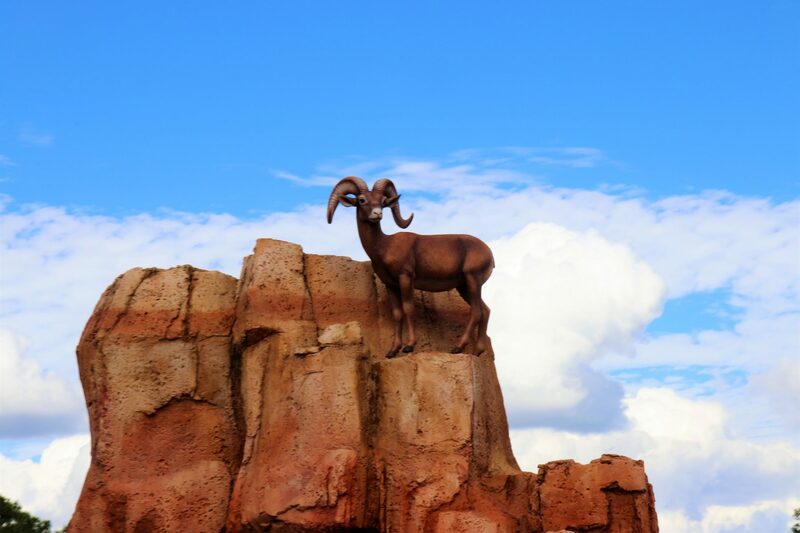 The things you might see on Big Thunder Mountain are different depending on if you ride during the day or at night. In the evening you’ll pass a window where you can see a party going on in the saloon. 3. It cost Disney $17 million dollars to build Big Thunder Mountain Railroad in 1979. That’s about as much as it cost to build all of Disneyland in 1955. 4. The roller coaster can reach speeds of up to 33 miles per hour, which is actually faster than Space Mountain. 5. There are some differences between the ride in Disney World and Disneyland. For instance, in Florida the mine town is affected by flooding, while in California it is because of earthquakes. There is a scene in the Disney World version showing the flooded town before the final lift. 6. 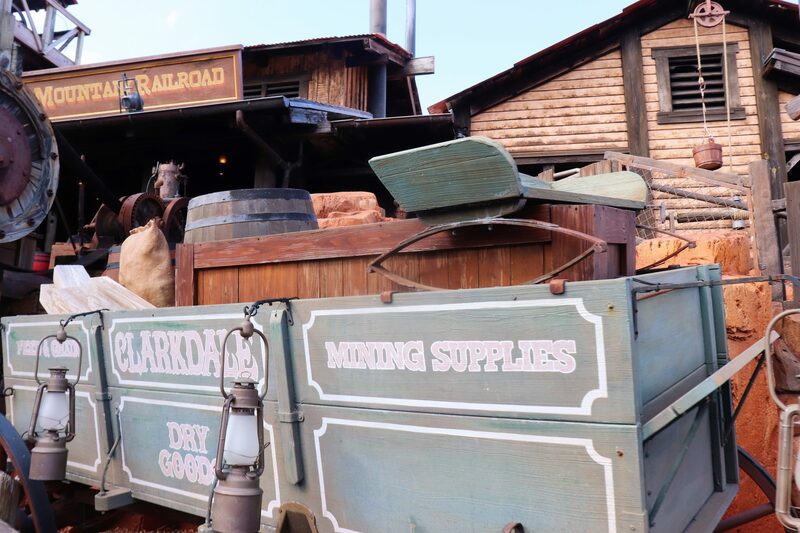 Disney loves to get the details exactly right, so the mining equipment and tools you see around Big Thunder Mountain? They’re actually antiques and real tools, not re-creations. 7. Before you get on the ride you’ll see a portrait of Barnabas T. Bullion, the president of the Big Thunder Mountain mining company. The portrait is actually of Tony Baxter, one of the imagineers who worked on the attraction. 8. One of the “animals” that stands out the most is the goat – maybe you’ve caught a glimpse of him as you’ve gone by. He’s so popular with Disney fans he even has his own facebook page! 9. There is a name for the “town” where the Big Thunder Mining Company operates. It’s called the town of Tumbleweed. 10. The queue at Disney World was recently redone, and it now has some interactive elements. If you look you can find instructions for how to set off the explosives! Did you find this interesting? Also check out 10 things you may not know about Splash Mountain and 10 things you may not know about Space Mountain! Did you learn anything new about the Tower of Terror? What’s your favorite fun fact?